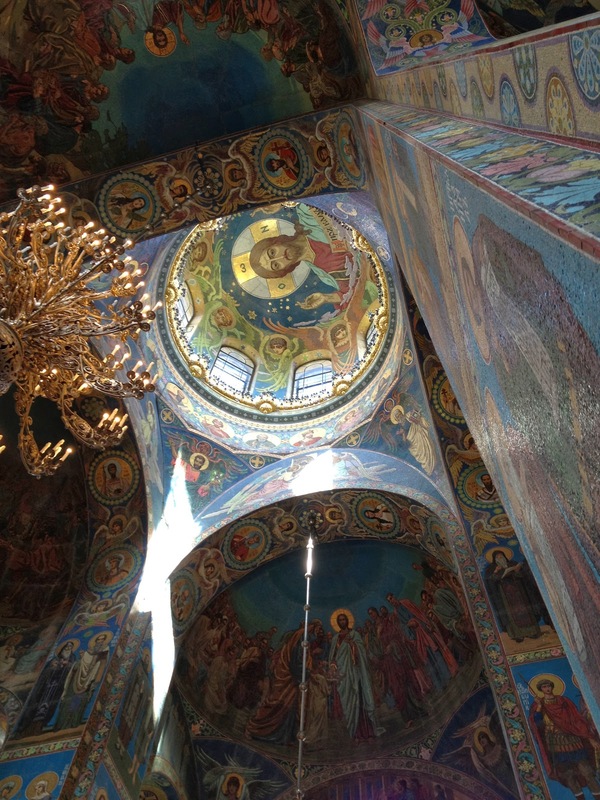 This is one in a series of blog posts about my 2012 trip around the world, all collected under the #rtw2012 label. You may want to start at the beginning for context. 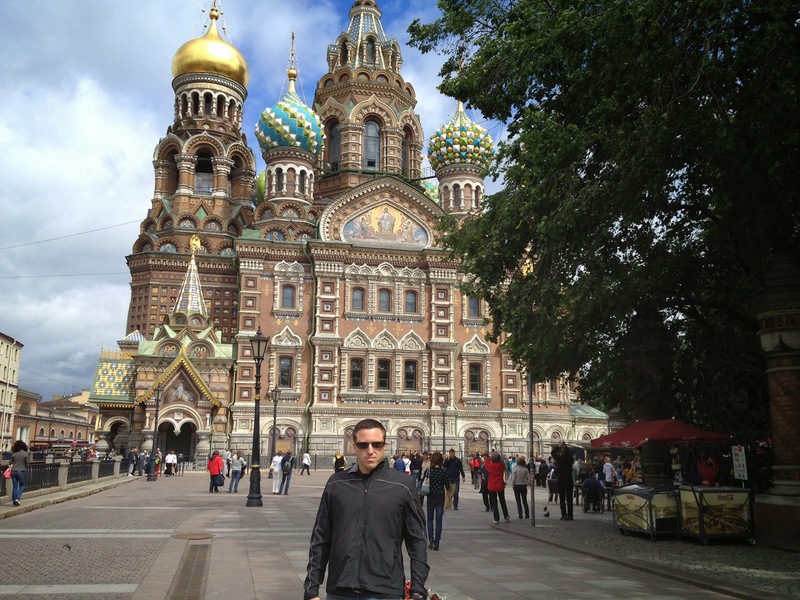 The way I set up my trip in Russia was two long weekends in Moscow, with the 5 days between them in St. Petersburg. 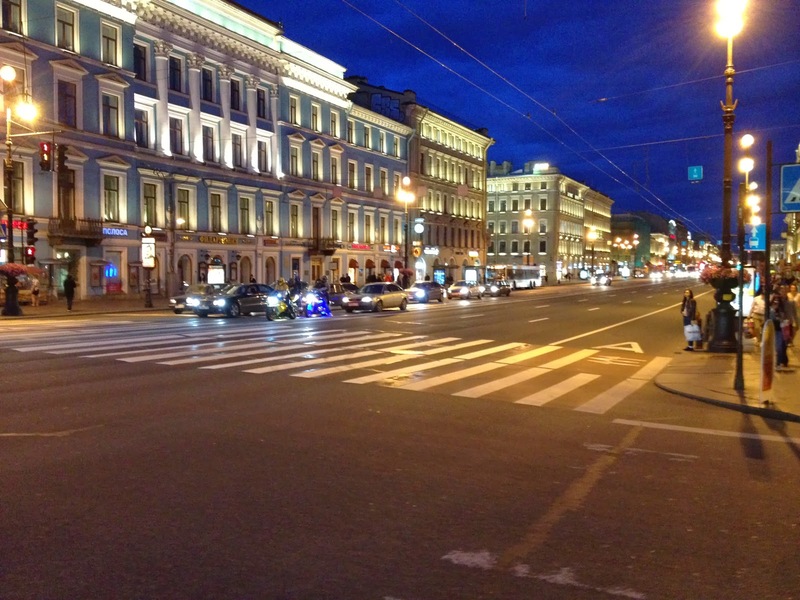 I wanted to optimize for Moscow nightlife, and I’m glad I did it that way, although St. Petersburg can definitely hold its own in this area too. More on that below. 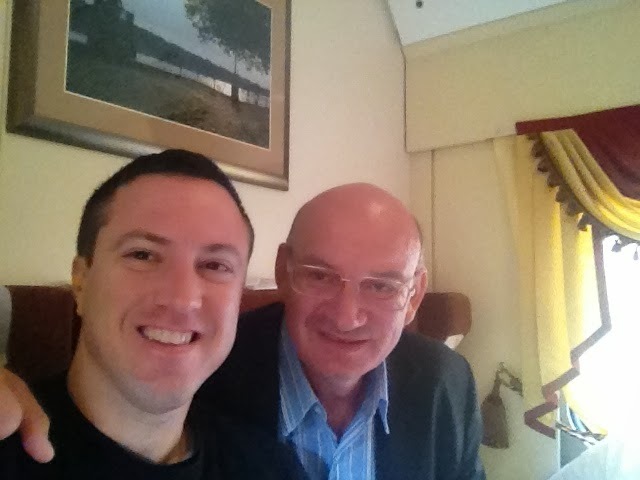 Sergei and I on the train. 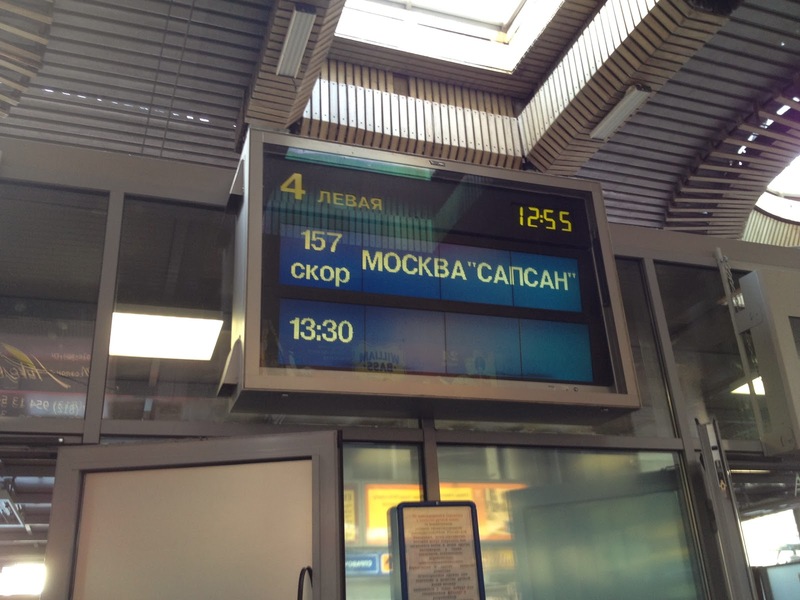 I took the overnight “Red Arrow” train from Moscow to St. Petersburg. This was an adventure, highly recommended. It’s a fairly fancy train, comfortable, and a lot of fun. My cabin mate was a 55-60-year-old man named Sergei, who had a great attitude, amazing stories, and a capacity for vodka drinking far greater than my own. Sergei was nice enough to have his driver drop me off at my AirBnb apartment. The latter, conveniently, was in the same set of buildings as the US consulate. 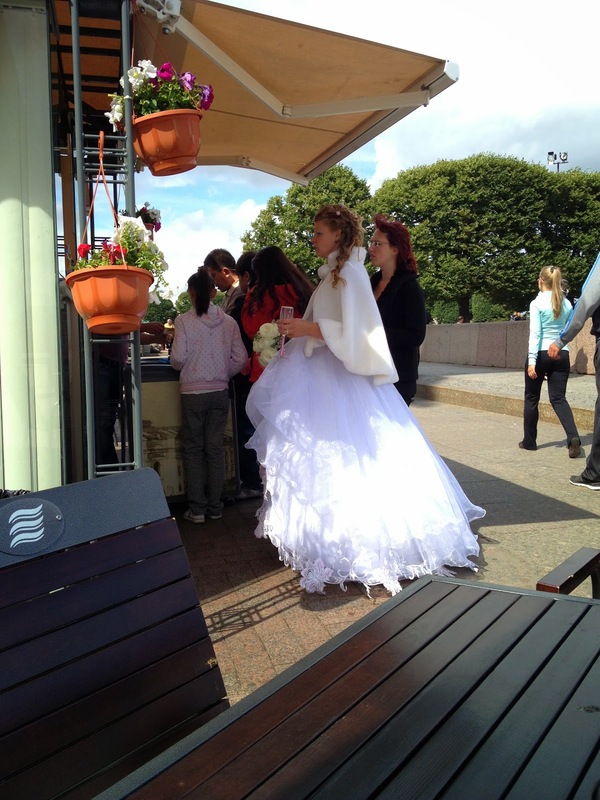 It was cool the see the marines nearby, in Russia of all places. 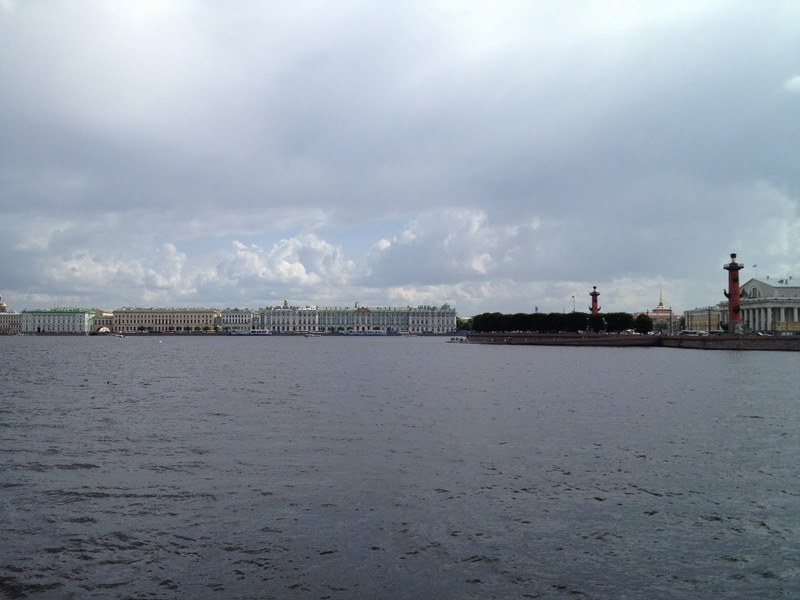 First view of the Neva river. Nice wide sidewalks for jogging. As soon as I got there, I went out for a recon jog. 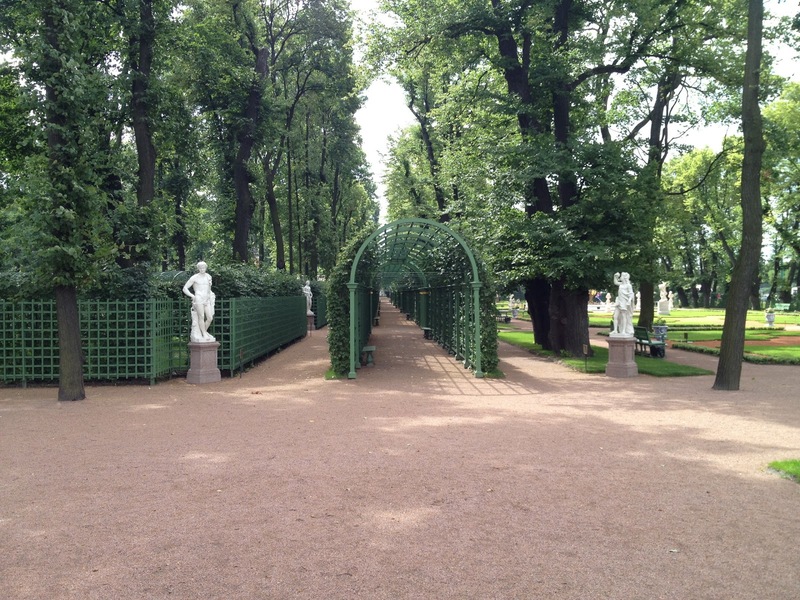 The jogging path took me along the Summer Garden, Field of Mars, and of course the Neva river. All are beautiful, fun places that I visited multiple times at a slower pace later. 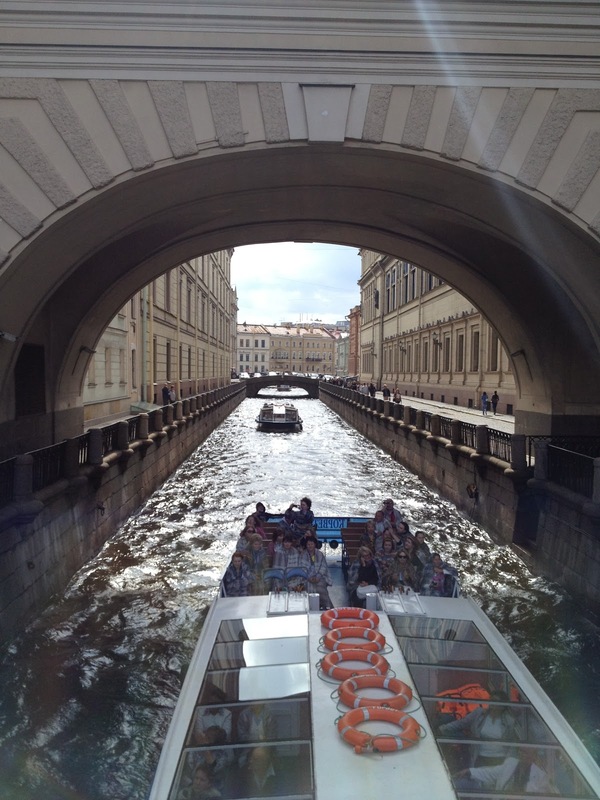 It was immediately evident why some call St. Petersburg “the Venice of the North.” There are canals everywhere, with bridges over them, and boats traveling around. 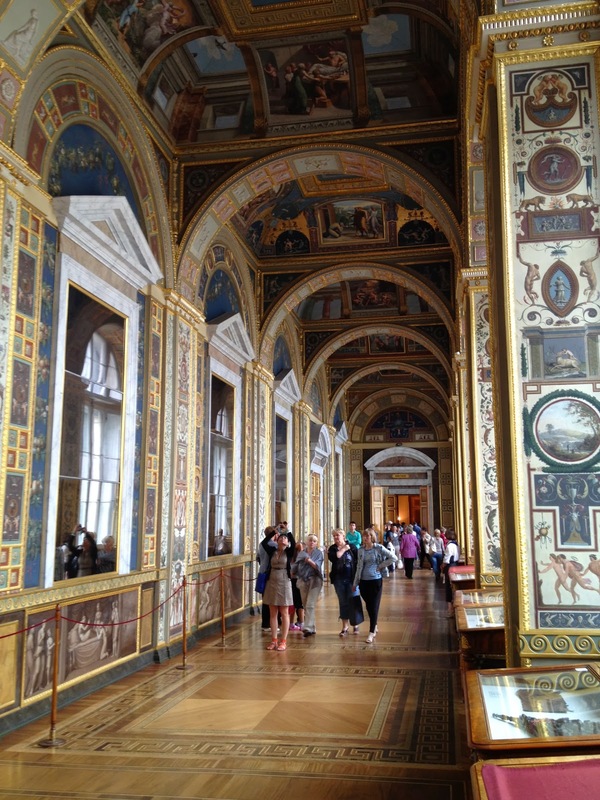 I continued to the Winter Palace and Hermitage Museum, just to check out the queues. 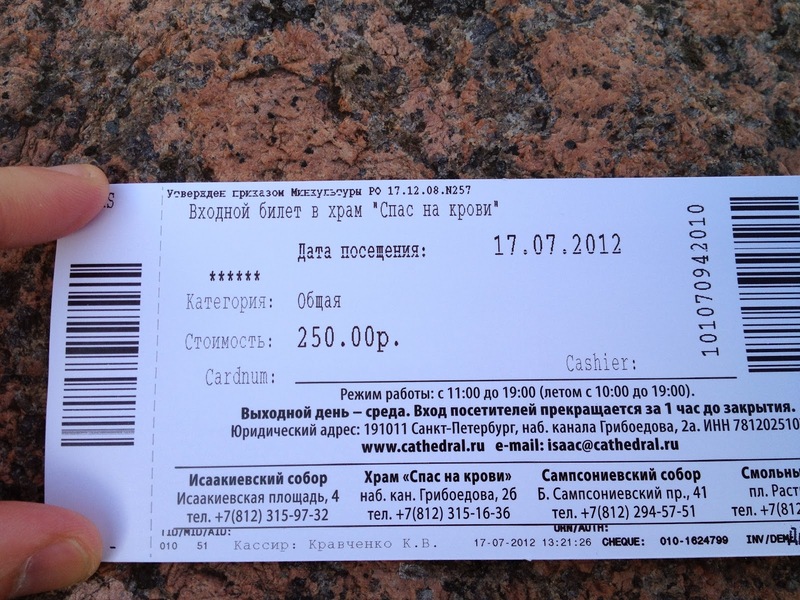 I had already bought a ticket online the day before, for the next day, so I wasn’t going in today. 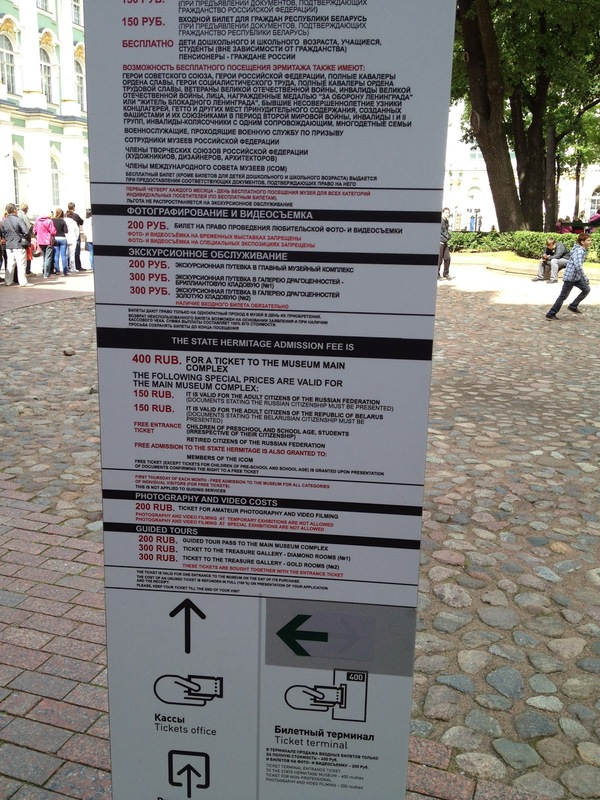 The queues were very long, as every guide book says. I don’t know why people don’t buy tickets online. 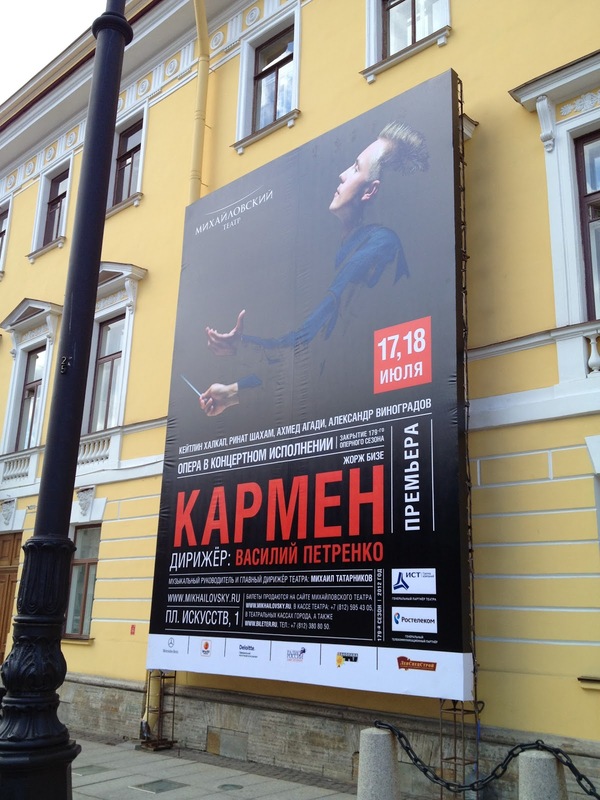 This was one of the very few museums on my trip to which I dedicated a whole day in advance, and I was glad that I did. 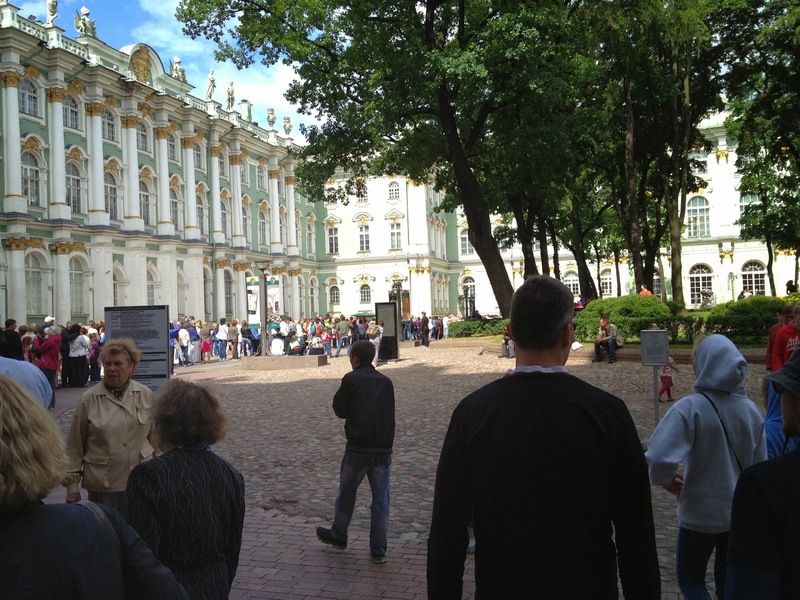 Ticket queue for the Hermitage Museum. Buy a ticket online to bypass it.. 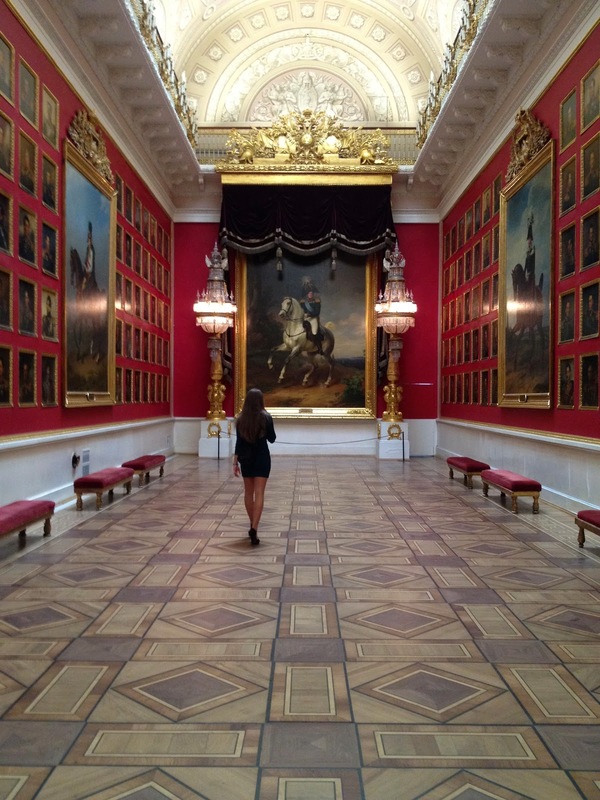 The Winter Palace and museum buildings are impressive from the outside, but they blew my mind inside. 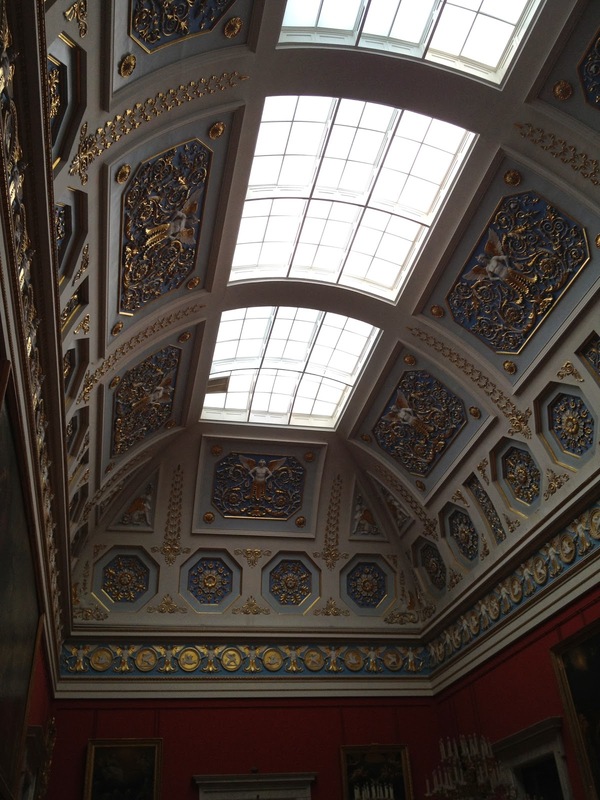 The Hermitage might be the most impressive museum I’ve ever seen, or tied with the Louvre for that honor. Its collections would be incredible (top 5 in the world) even if they were housed in a dingy basement. The buildings themselves would be a top-tier attraction in most cities, even if they were empty. The combination of the contents with the buildings, how they’re arranged together, is mind-blowing. 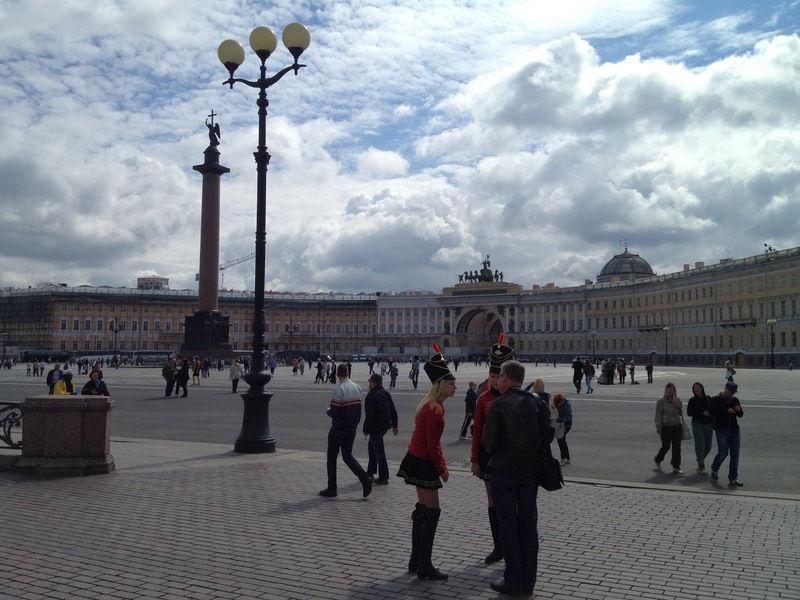 Palace Square. The girls in uniforms are local tour guides. 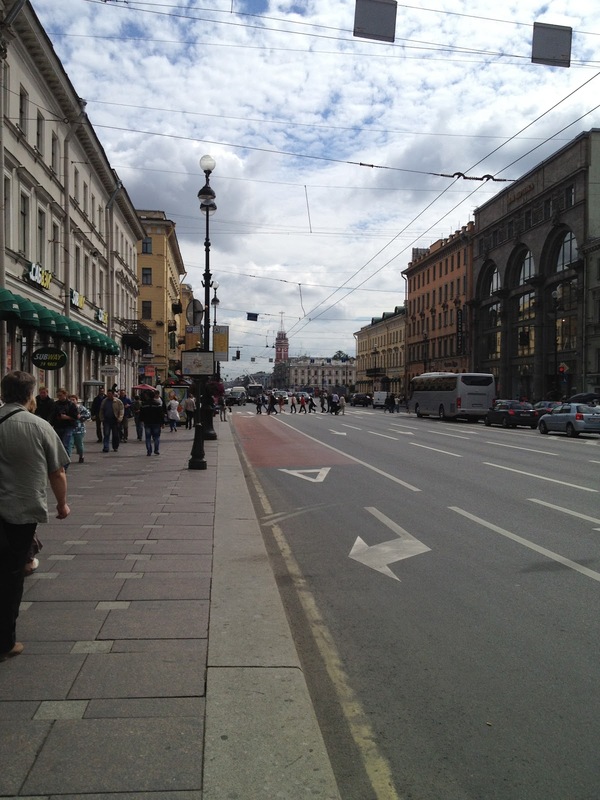 I kept jogging through the Palace Square towards Nevskiy Prospekt, the main street. It’s a really fun town for walking, jogging, and biking — at least in the summer (I was there in July), when the sidewalks are clear, no ice anywhere. 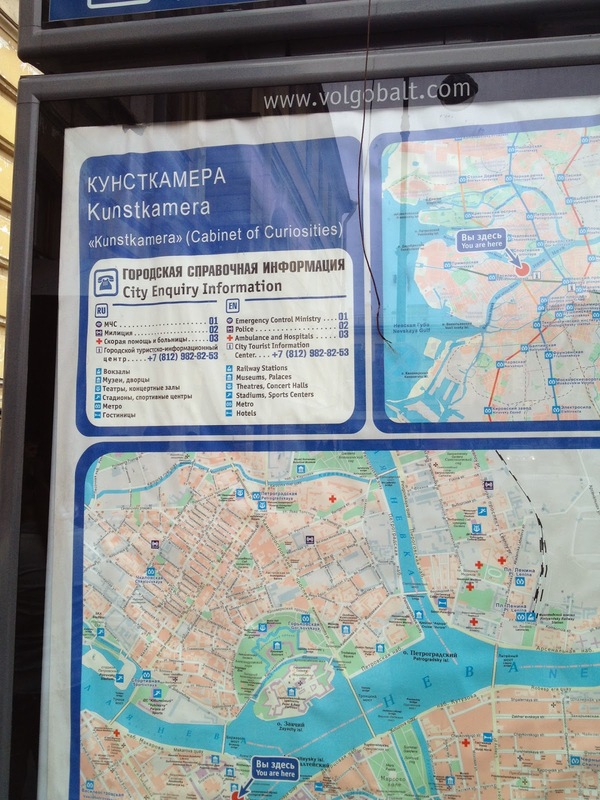 I jogged as far as Ploschad Vosstaniya, then back home to shower and change. It made for a nice refreshing loop. 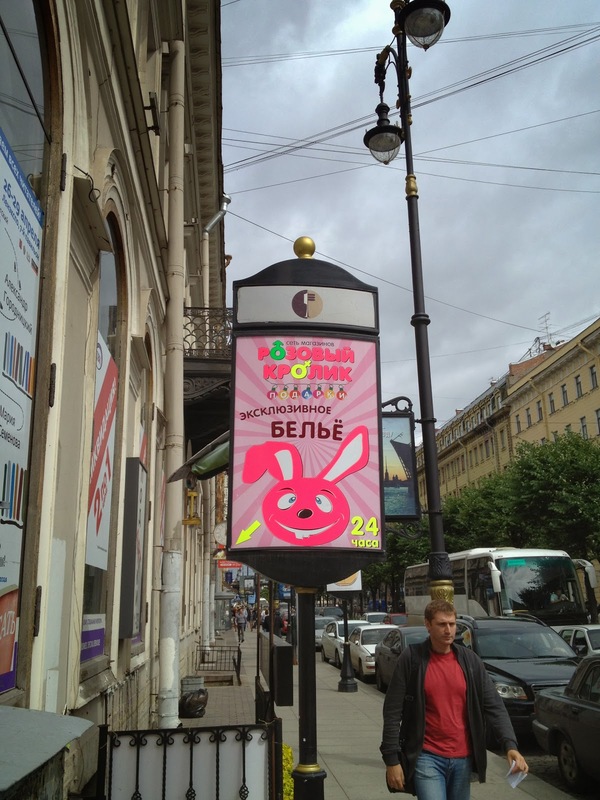 Nevskiy Prospekt, the main street. I don’t know what’s going on here, but it’s going on 24 hours a day. 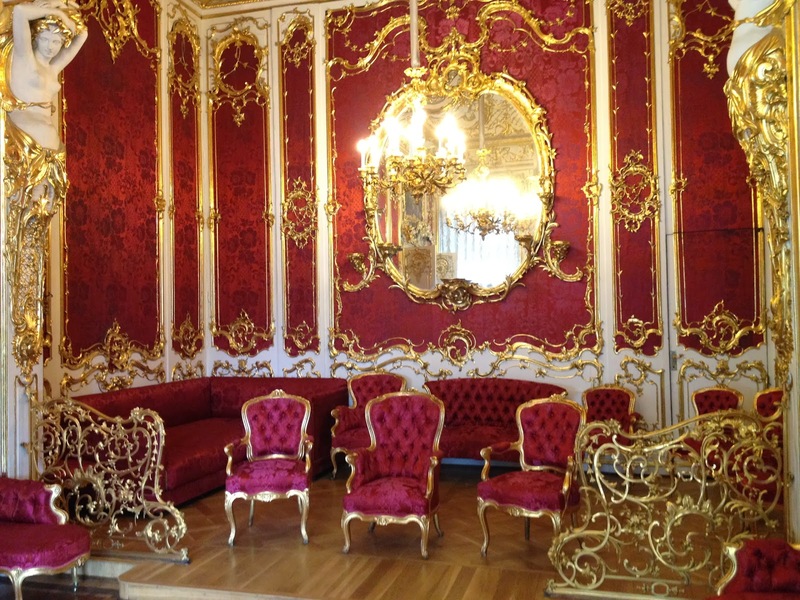 OK, the Hermitage. 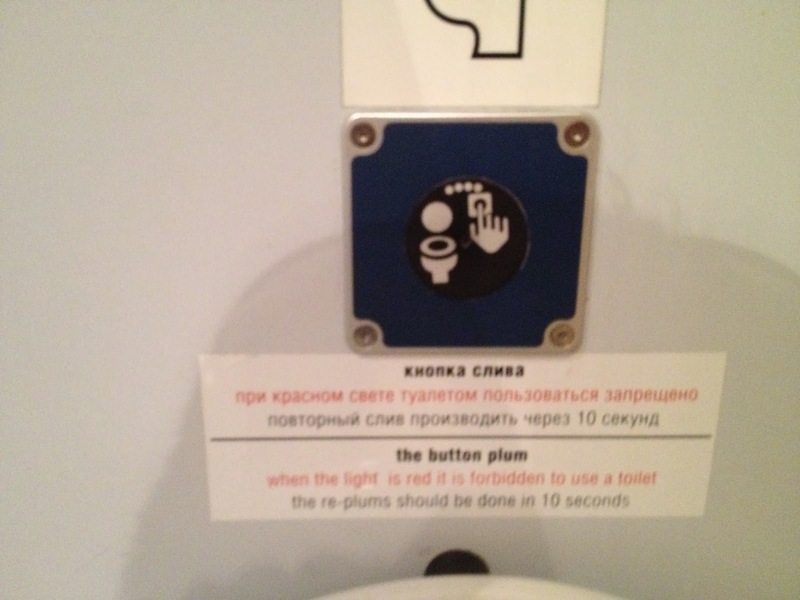 It was an amazing museum, and would be my #1 stop when I come back to St. Petersburg, I think. There’s always more to see. 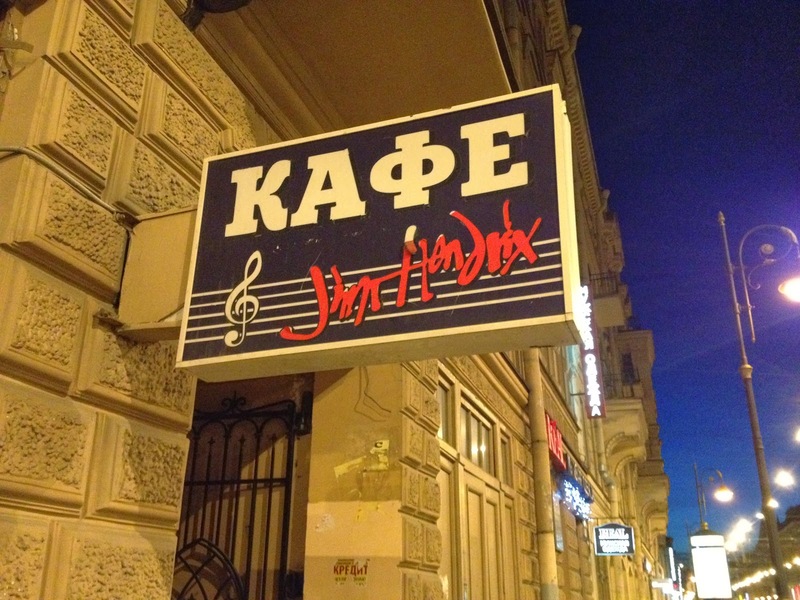 They have entire rooms dedicating to specific artists, e.g. some of the European masters. 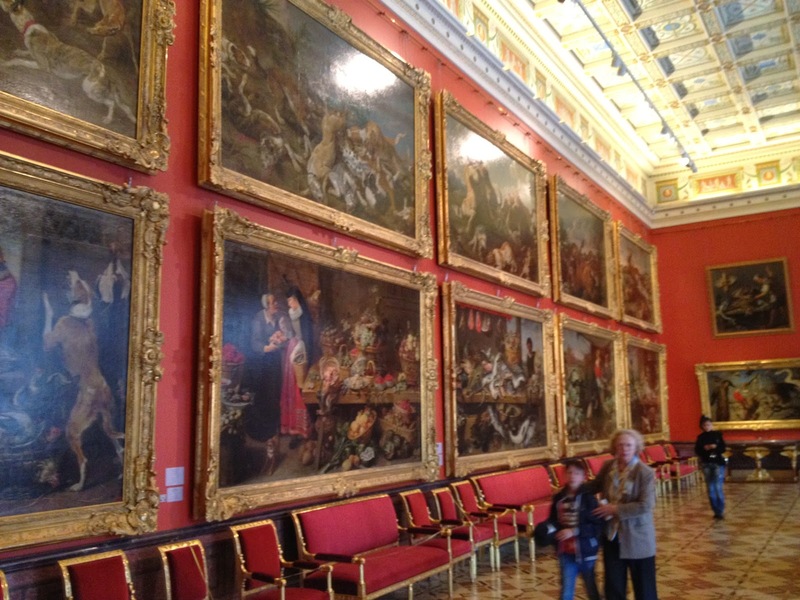 So instead of just one Picasso painting, they’d have a room with a dozen or more. The collection is insane. 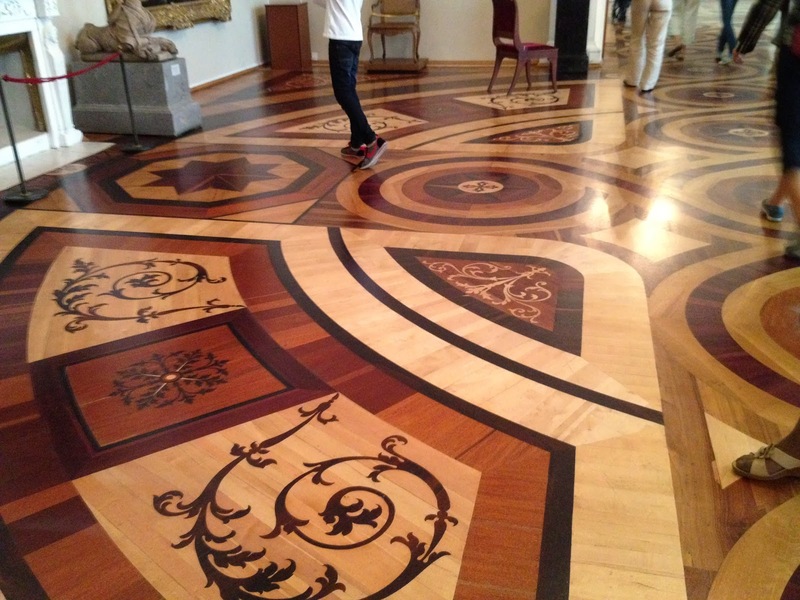 It also extends to sculptures and other types of art. 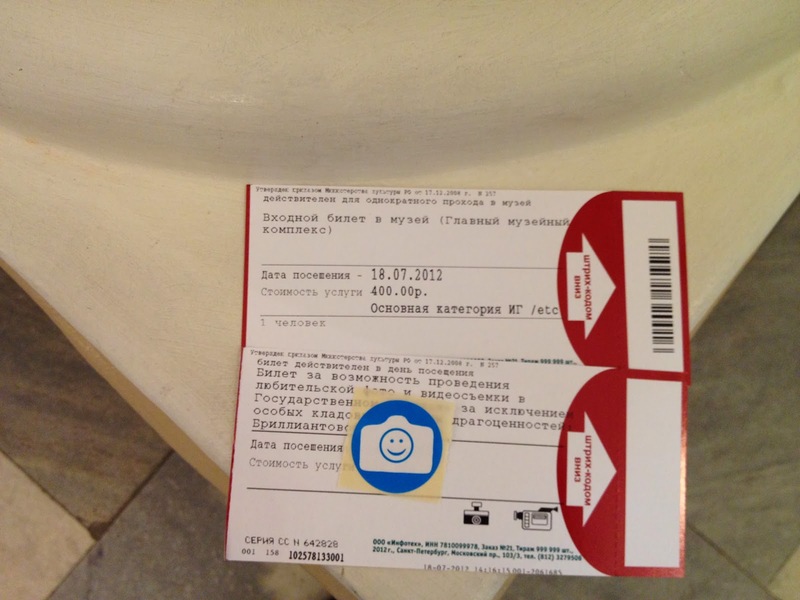 My Hermitage museum ticket, with extra sticker for photography permit. 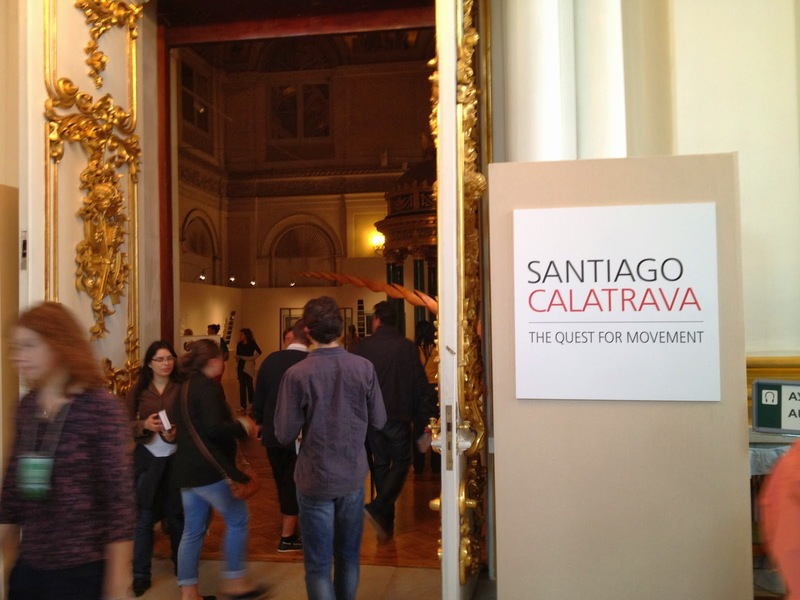 Lucky timing to visit a special exhibit from Santiago Calatrava. 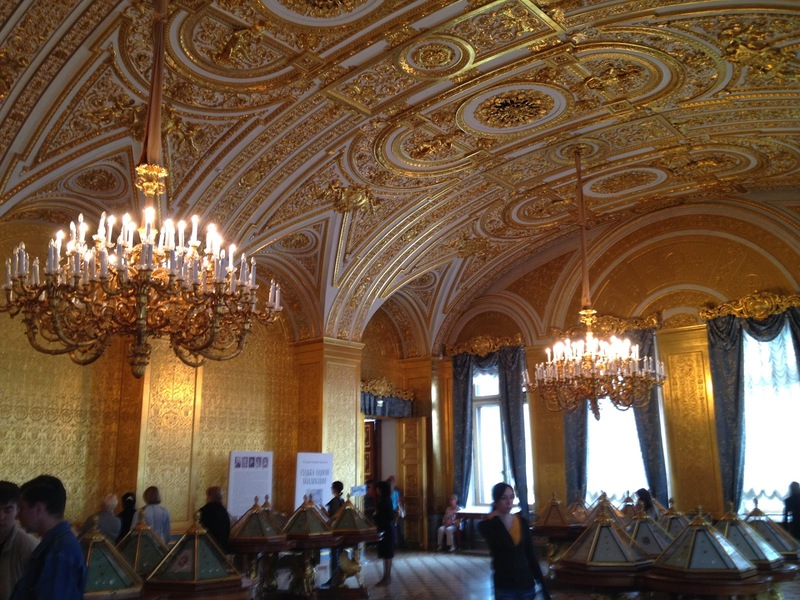 My pics don’t do the ornate ceilings, floors, or surroundings justice. So many masterpieces they are just crammed together.. 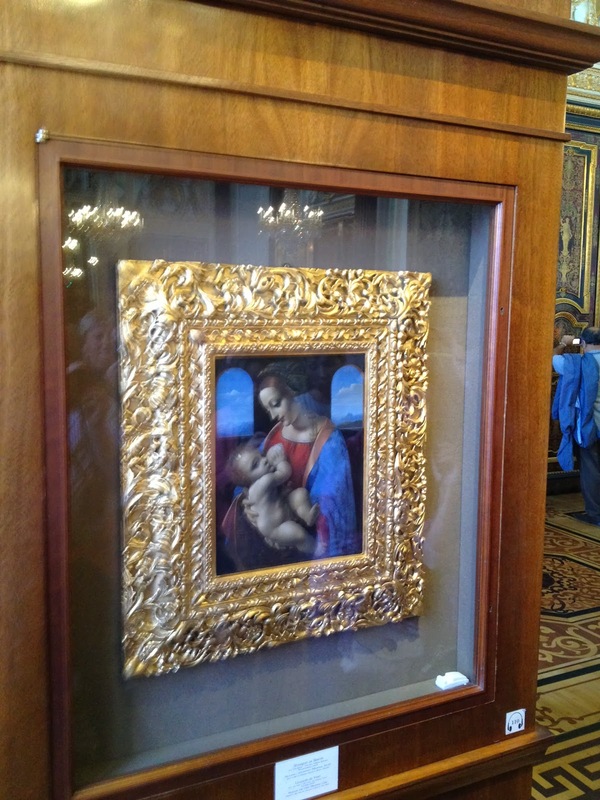 The Raphael Loggias, NBD. Yes, that Raphael. 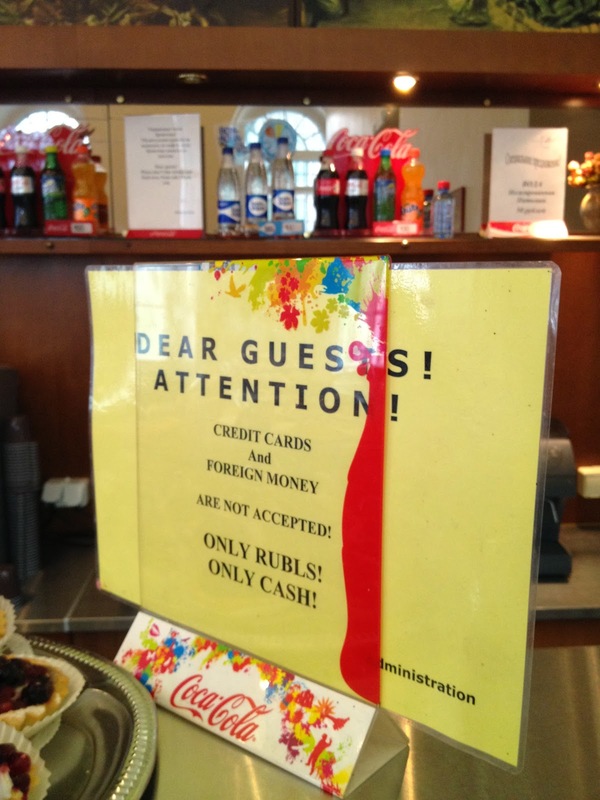 Yes, I tried to pay with a credit card, just for kicks. Bank of America, no less. 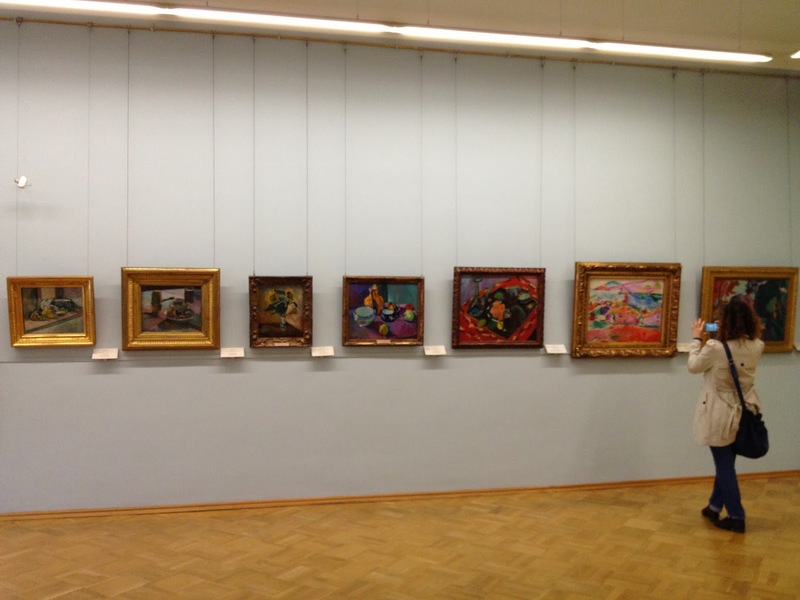 Many millions of dollars in art. 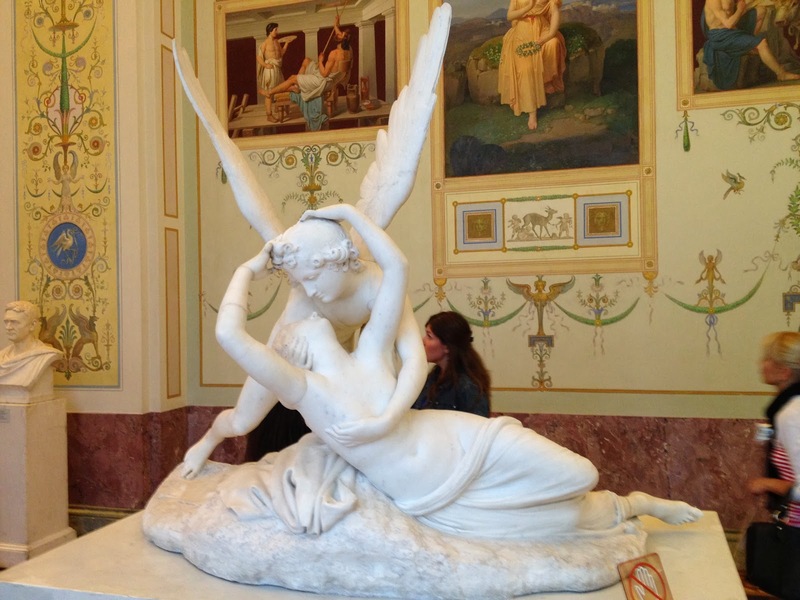 I have dozens of photos from the Hermitage. I won’t post them all here. If we’re Facebook friends, you can see them there. Trips are better with locals. 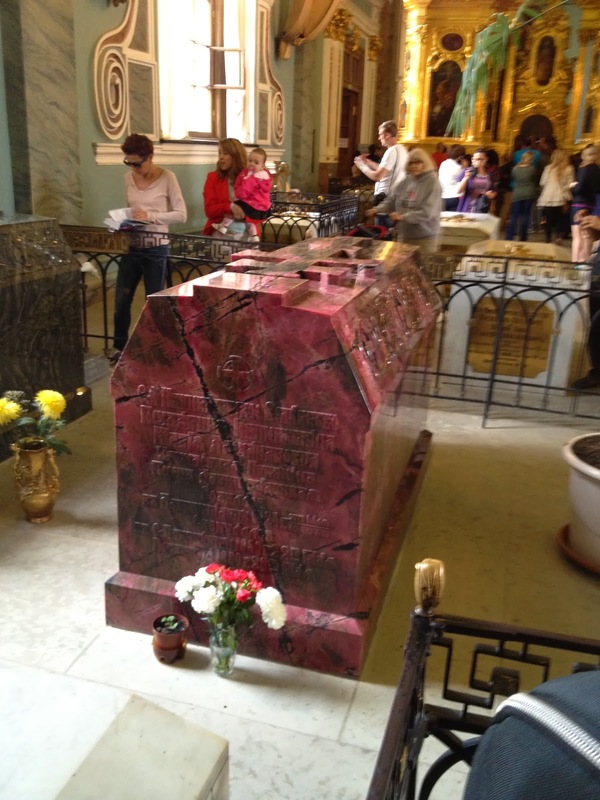 My St. Petersburg guide, Anna. By the Kunstkamera entrance. The “no pictures inside” rules are strictly enforced. 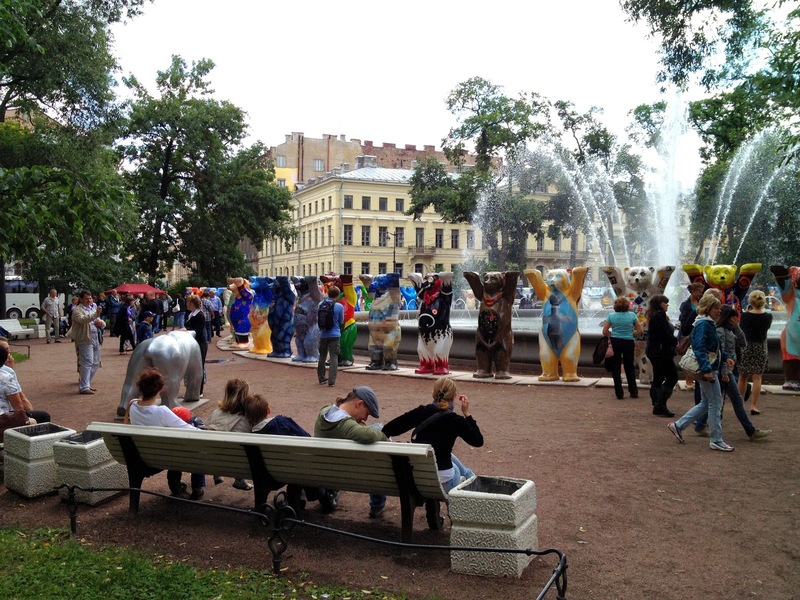 Another awesome museum in St. Petersburg is the Kunstkamera, and specifically the deformed “creatures” exhibit. This is gross, and makes the X-Files look tame, but it’s also fascinating to see. Looks great at night, too. 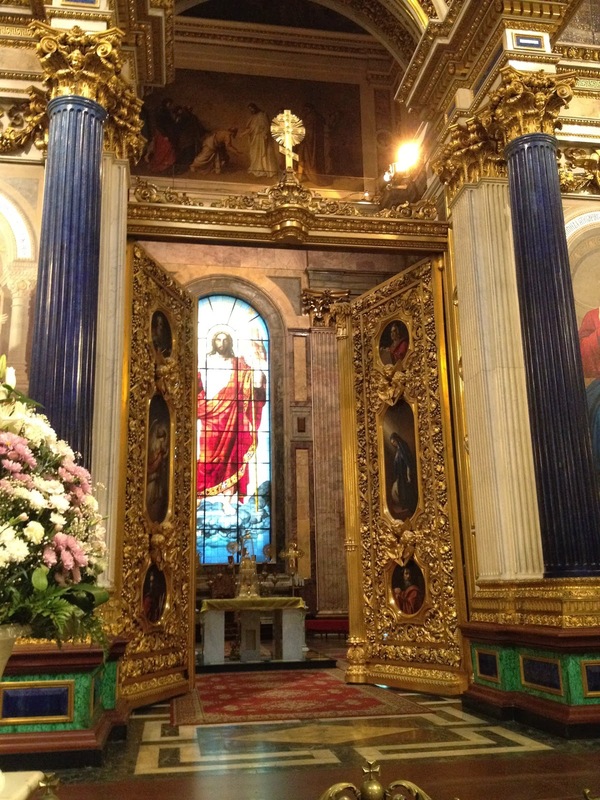 Of the several excellent churches in St. Petersburg, my favorite was the Church of the Savior on Blood, which has several variations of that name. 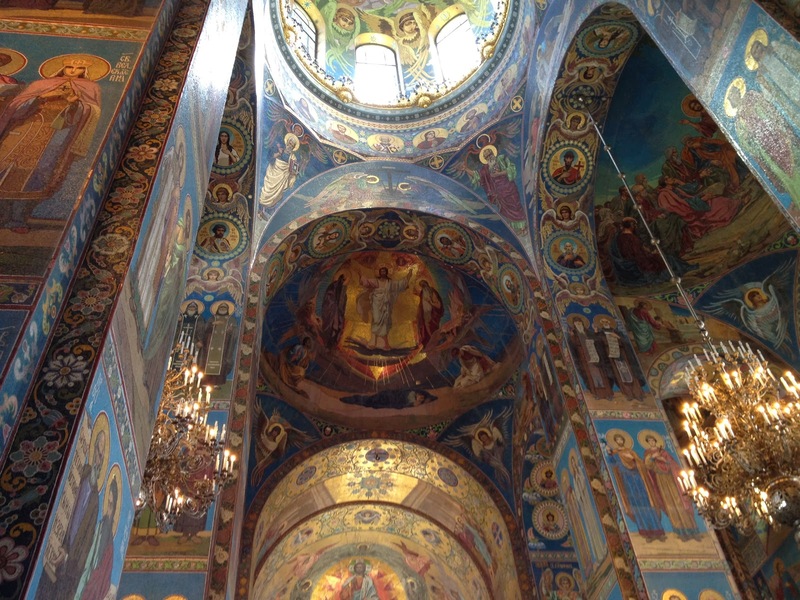 It’s a colorful church that you can tour, just a few steps off Nevskiy Prospekt. 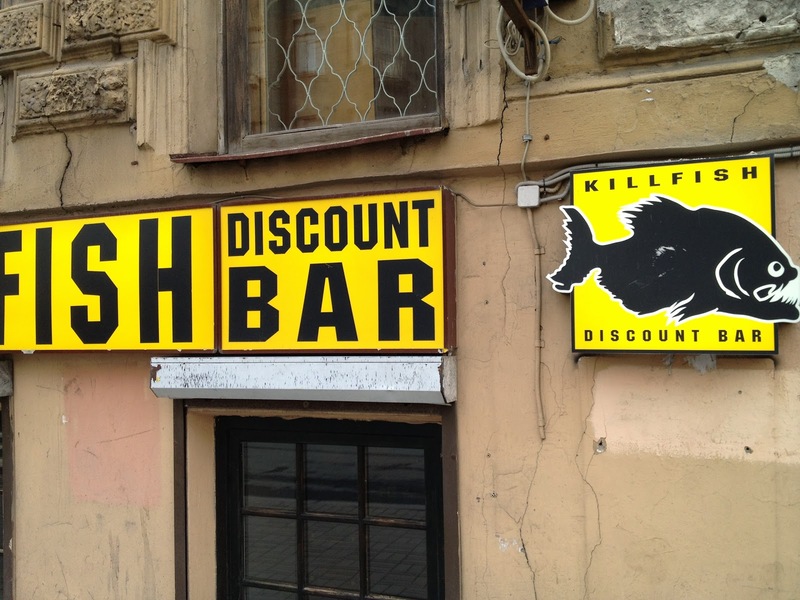 As I found out, it’s also near several bars and restaurants, a convenient location all around. 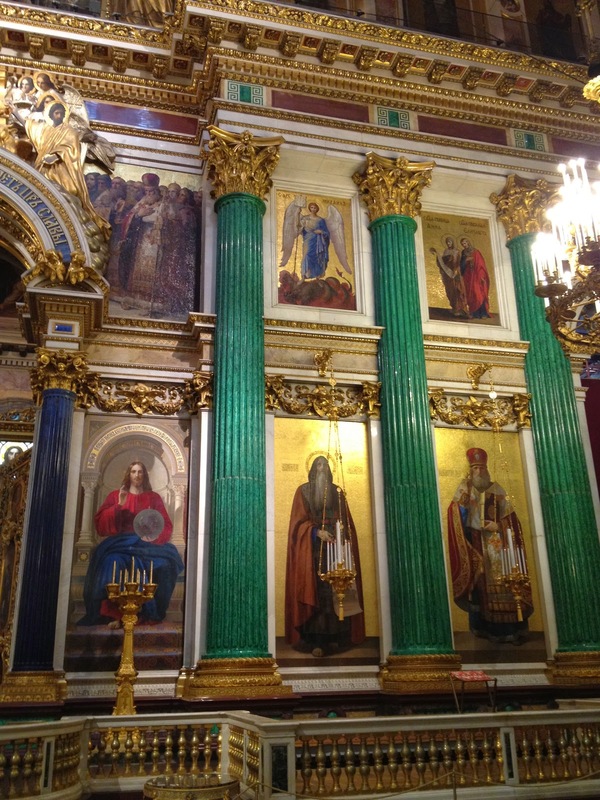 The churches of St. Peter and St. Paul (part of a fortified complex that has little else to see), and St. Isaac’s, were both fun as well. 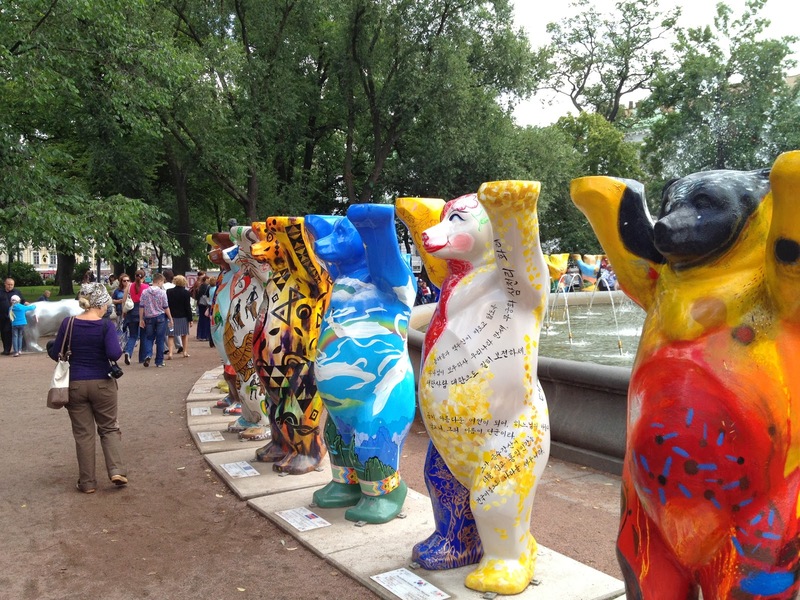 One of them is right by the Admiralty, which was closed for renovations while I was there, but had a fun exhibit of standing bears outside the building. 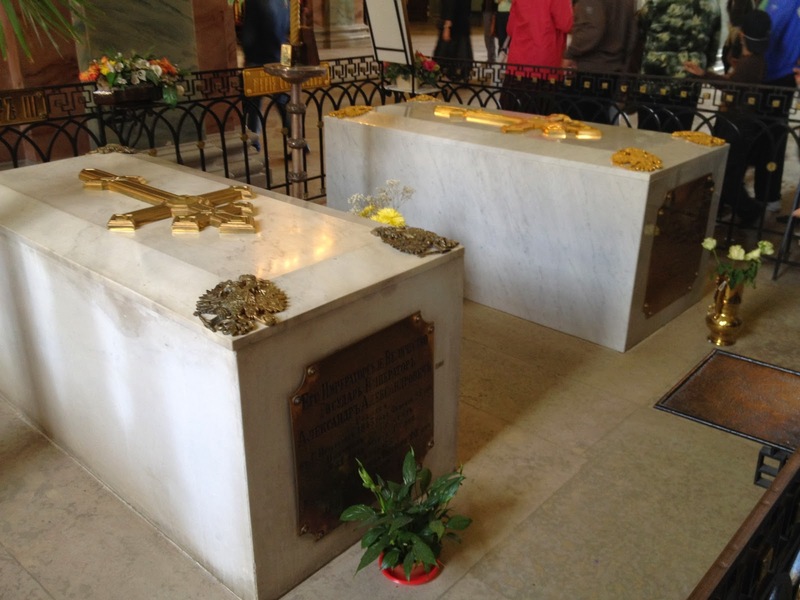 the “baby Cazr” is buried there. 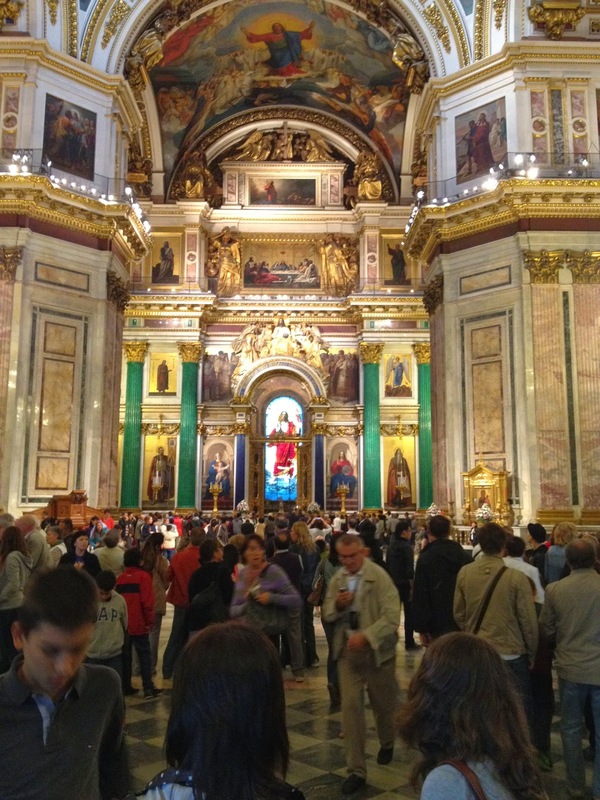 As with Moscow, St. Petersburg has many cultural attractions that are not religious. 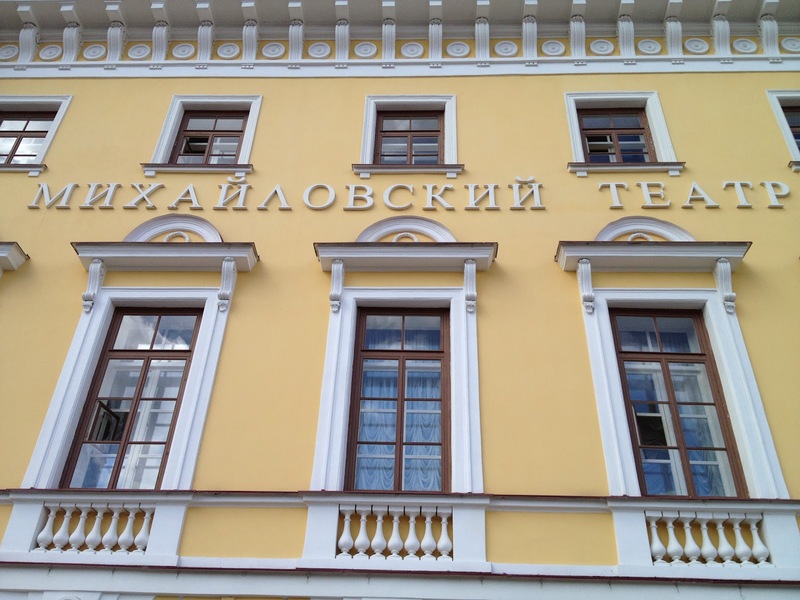 The Mariinskiy Theatre, for example, as well as many others. Carmen, one of my favorite operas! Lucky timing. 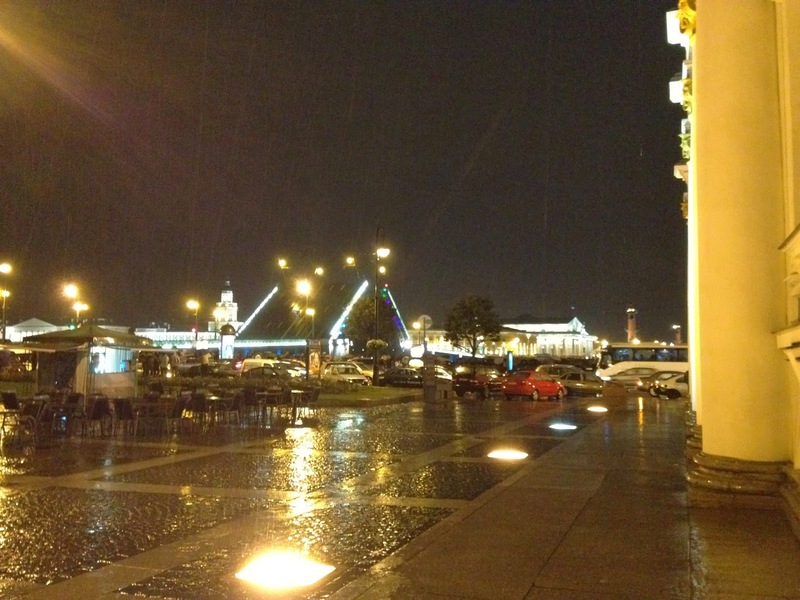 The nightlife in St. Petersburg was fun. 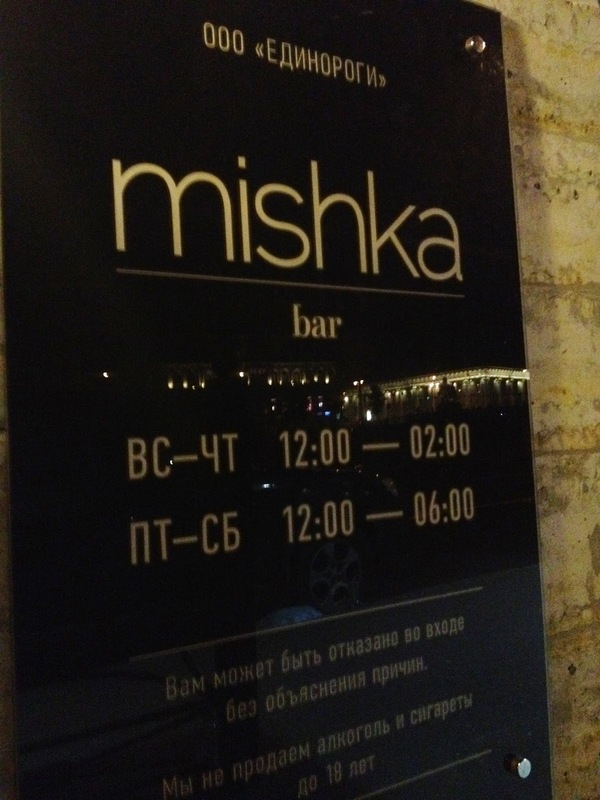 It didn’t feel quite as over-the-top as Moscow, but there still good drinks, good nightclubs, and good options at all hours of the day or night. 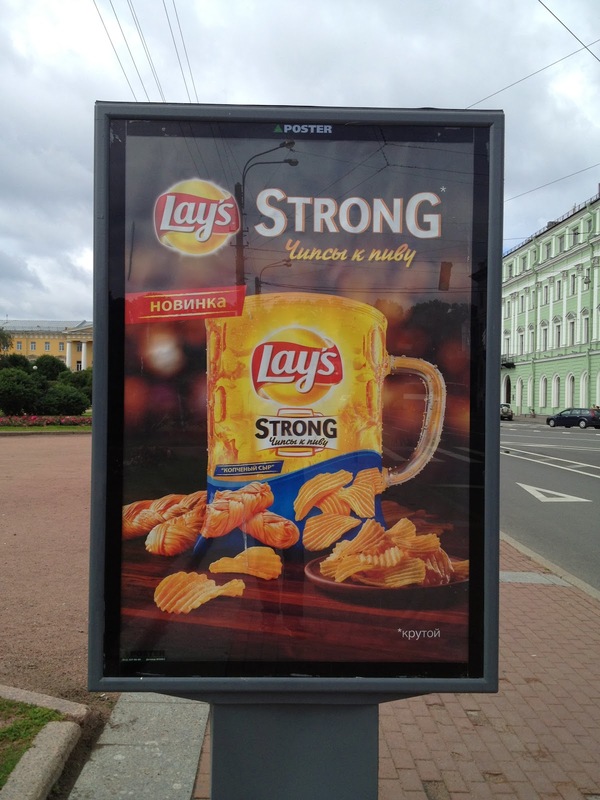 Is that an ad? Yes, it is. 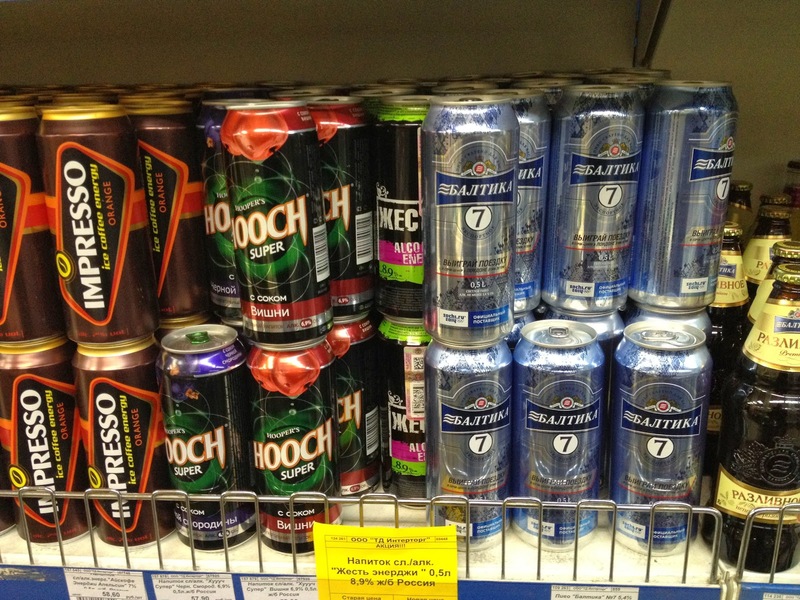 Learning the different local beers. 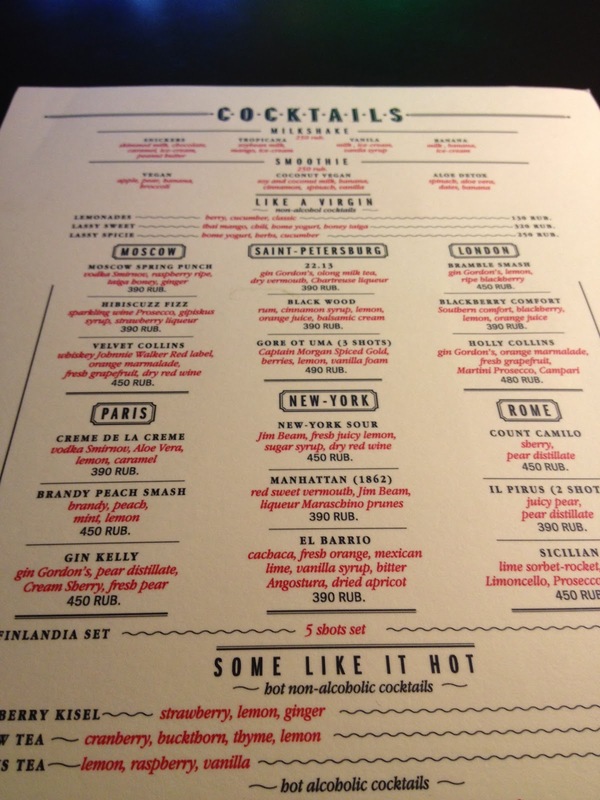 Of the cocktail bars, I have a specific note to mention 22-13 here. 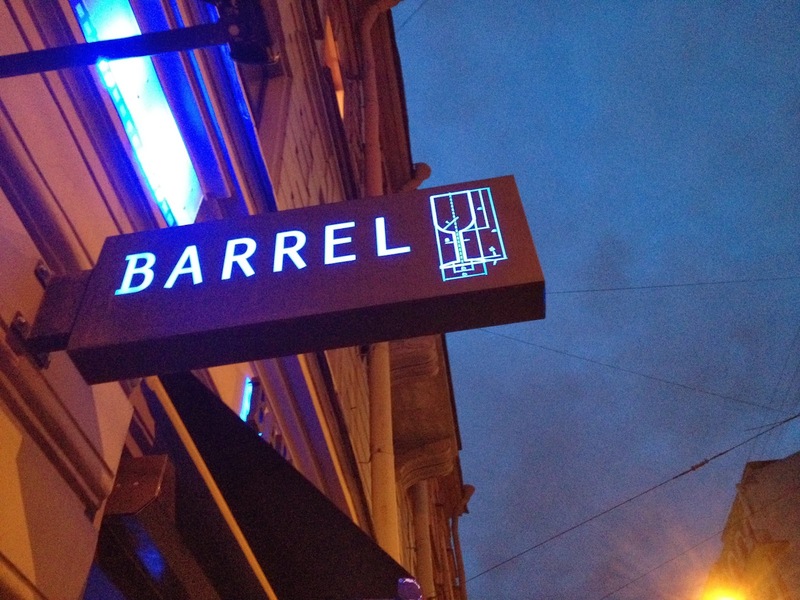 It stuck out as having Eastern Standard-caliber drinks (one of my measuring sticks, a favorite Boston bar). But apparently it’s been bought by new ownership? 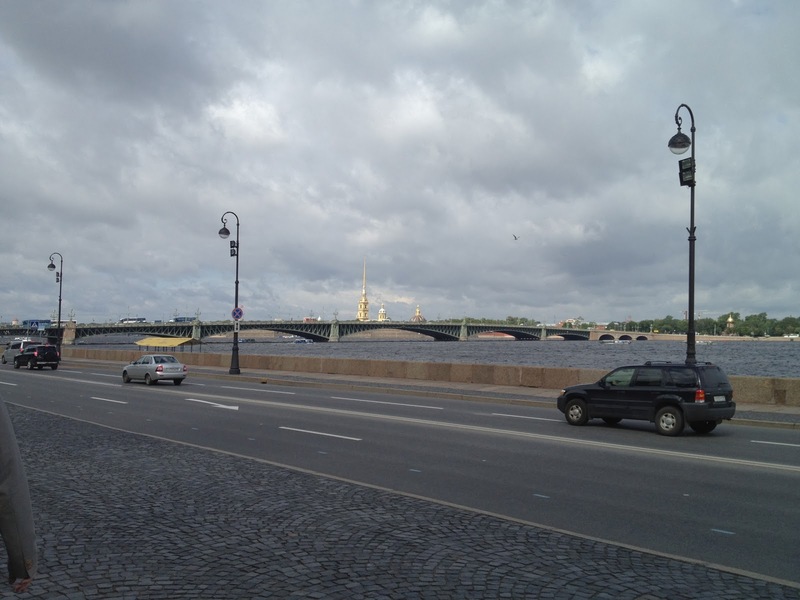 There are many bridges over the Neva river. They are closed (meaning cars can travel over them) most of the time. They have a set schedule of when they open to allow boats under them. 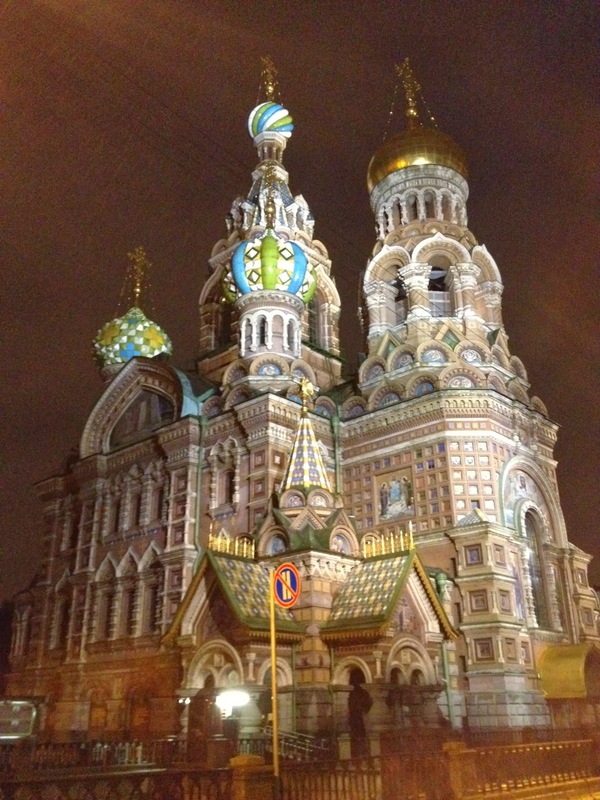 They are also nicely lit up at night, so watching them open and close is a sort of tourist (and local) attraction. This typically happens in the middle of the night, so it’s a nice break between dinner / drinking / dancing / whatever you’re doing at that time. Here’s a schedule. 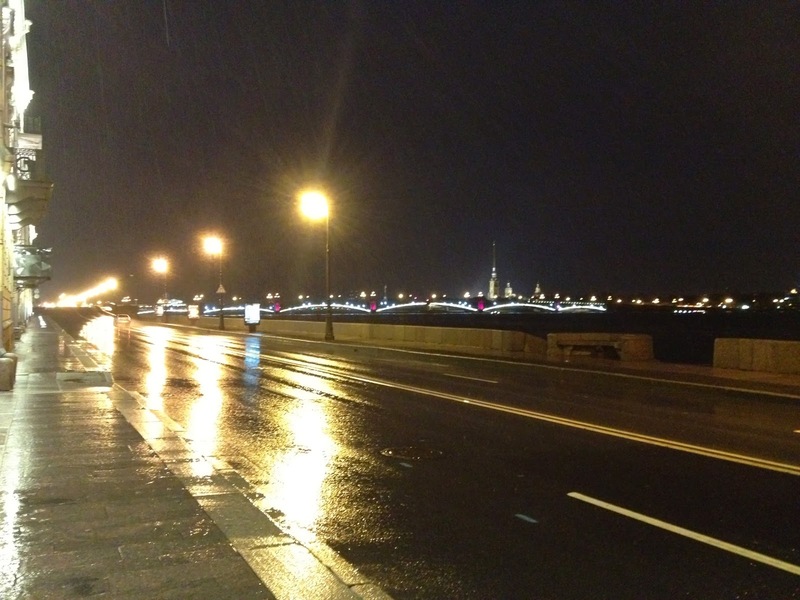 The bridge lit up on a rainy night. Watching the bridge open up, letting boats go under it. 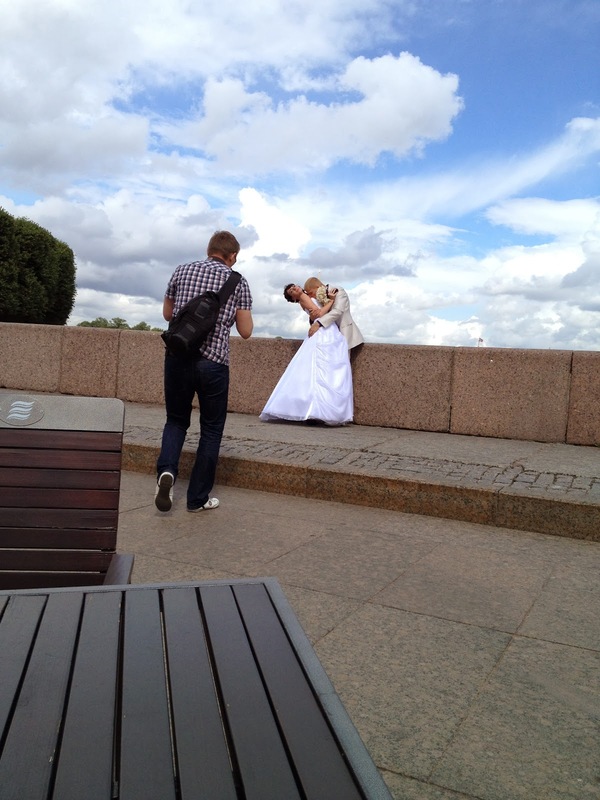 I was apparently there during a busy wedding season, as there were bridal parties taking pictures everywhere. 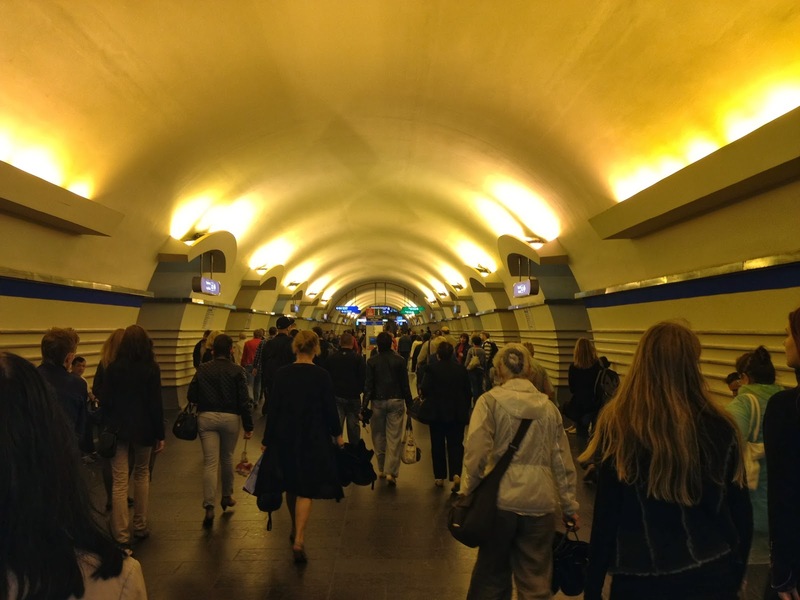 St. Petersburg’s underground train / metro system is well-known for its very deep and pretty stations. 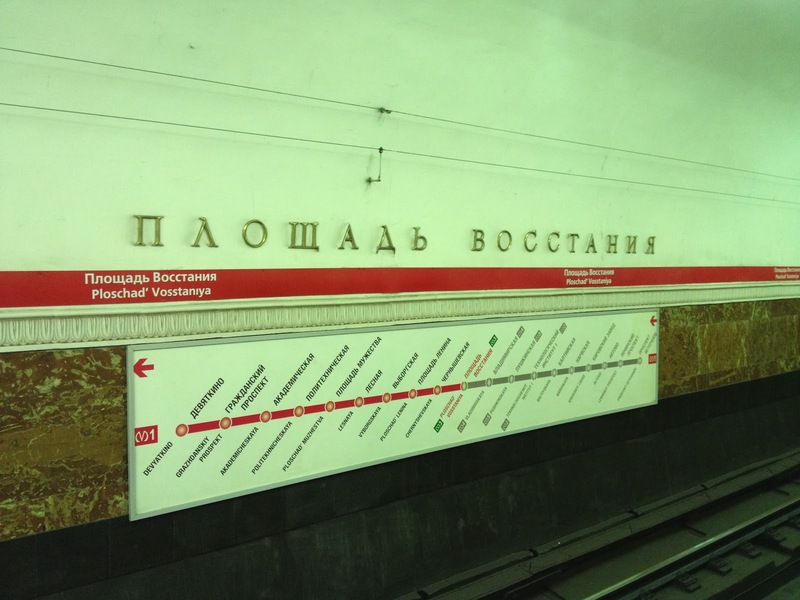 I made sure to use the subway a couple of times, and it was fun. 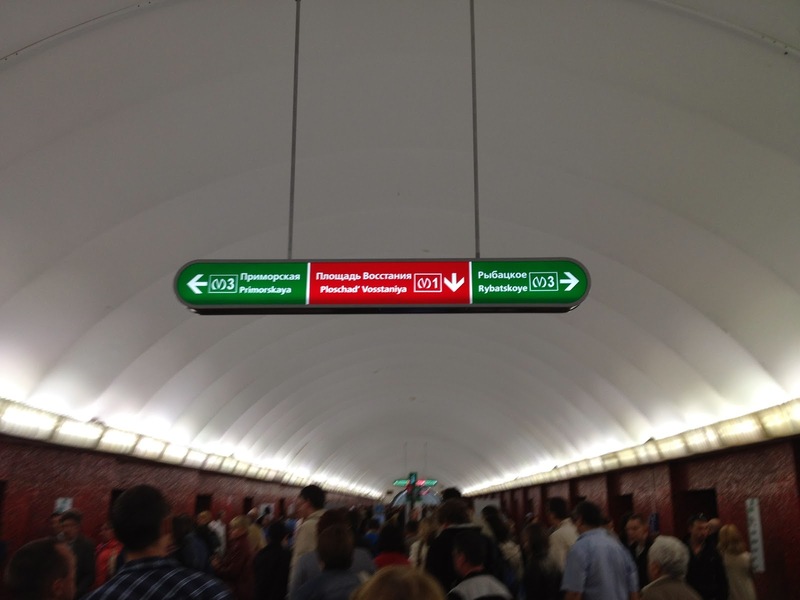 It was easier to find your way around compared to Moscow’s subway, because the signs had some English on them. 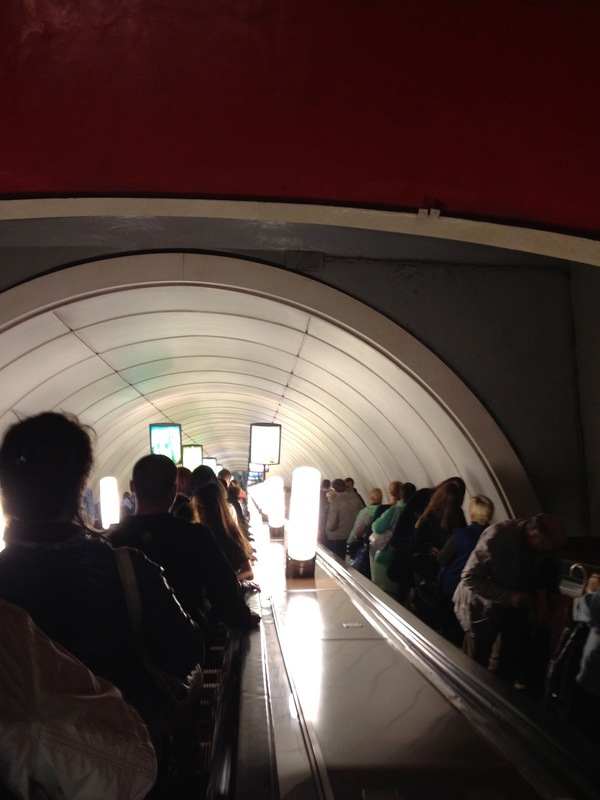 Descending into the deep subway station. On some of them, anyways. 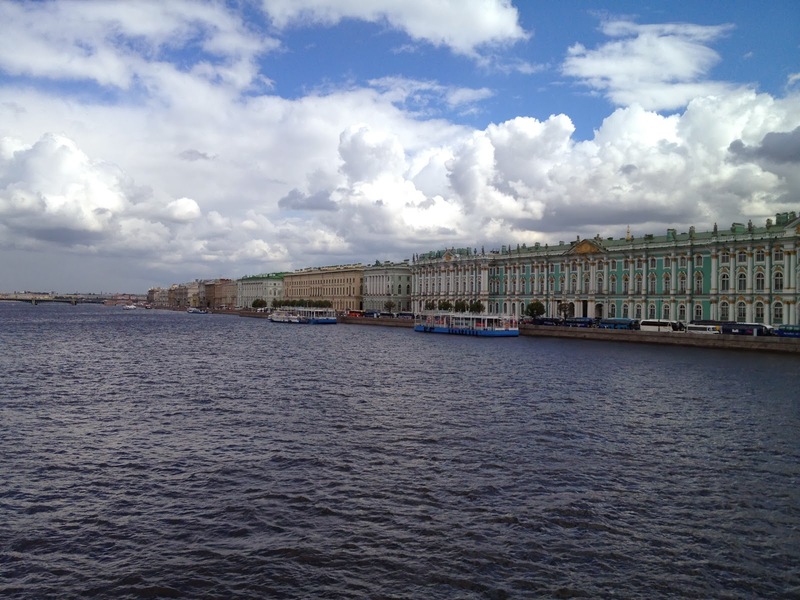 Overall, St. Petersburg struck me as a beautiful city. It was clean and welcoming, friendly. 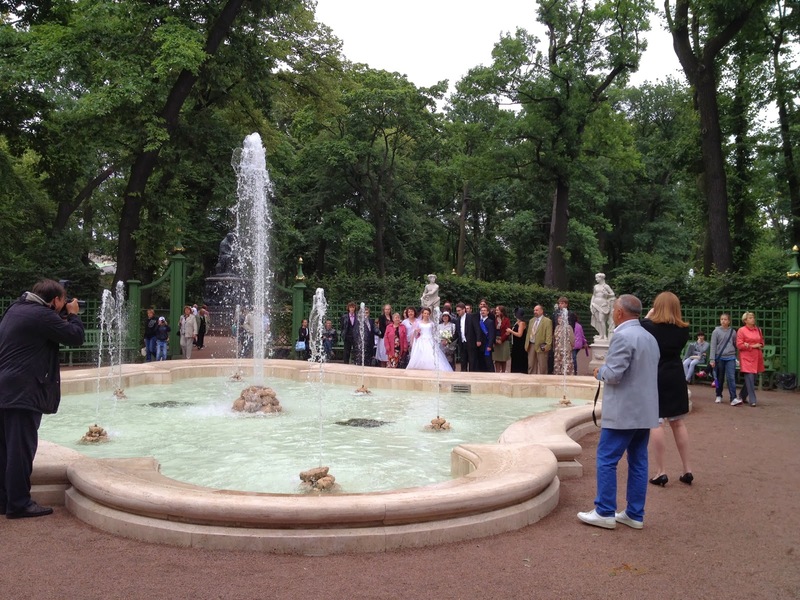 It was easy to navigate, and gorgeous to walk around. I’d love to go back there in the future. 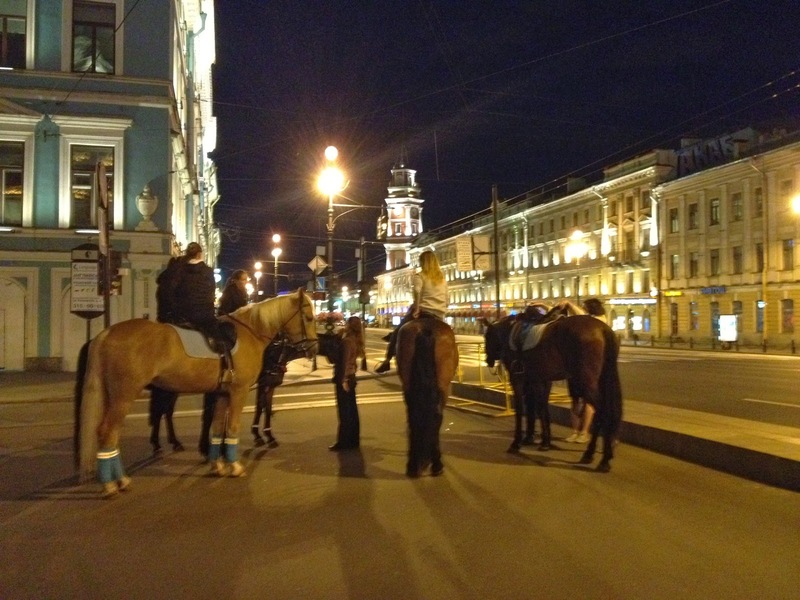 And sometimes, late at night, you run into a random group of women on horseback on the main street of the city. Why? Not clear. I’m surprised they were staying on the horses at that point. 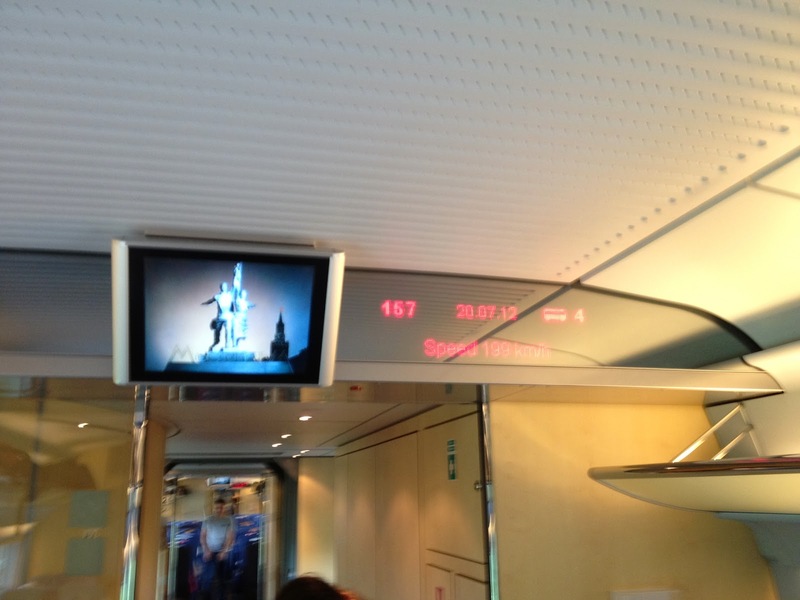 I took the “Sapsan” (Falcon) high-speed train back to Moscow. Onto the next city.